We all love to wear some jewellery, normally the women do more than men, if we talk about the jewellery fashion it has been changed in last years and it regularly keep changing. If you are a jewellery lover you will always want to be in the current trend of jewellery, but you can’t buy some new jewellery every year and the reason is quite obvious, which is the huge amount of money we need to pay for some pairs of jewellery. So what could be the best way to never be out of trend in the jewellery fashion? We have a solution for this, try some Indian Antique Jewelry from Antiquariat Jaipur. This is a one-time investment in jewellery collection which will be beneficial for you in many ways. If we talk about the benefits of the Antique jewellery it is beneficial for you in many ways, like if you wanted to be in the jewellery fashion trends, let me tell you that the vintage jewellery never counted as the out of trend. Another thing about having a vintage jewellery in the collection is that with the passage of time the value of this jewellery will only be increasing. We know that buying a vintage or antique jewellery costs a little bit more than usual jewellery but there are certain advantages of buying it. 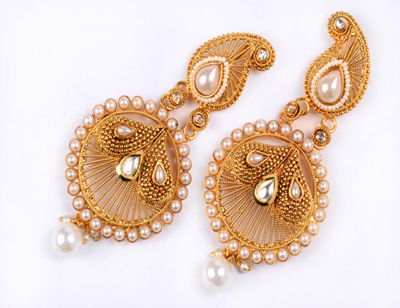 Besides various jewellery a person wear, brooches are the real jewellery which shows the class of a person. Back in days, the queens used to wear the brooches in a regular wear jewellery. In this current date, brooches are not normally used frequently, but it could be a classy look if you use it sometimes for parties or functions. Here in the Antiquariat Jaipur, we have a wide range of brooches made with antique gems and stones which you may like. It is not always necessary to wear a heavy necklace or 3-4 necklaces at a time, to hold a classical look you may wear a necklace made of vintage pearls which would do enough for your perfect look. Necklaces are a kind of jewellery which comes in a bulk of designs, so the designs in market change very fast so it is quite difficult to wear a necklace according to the current trend. In this condition, a necklace made of antique gems and stones could be the better option.